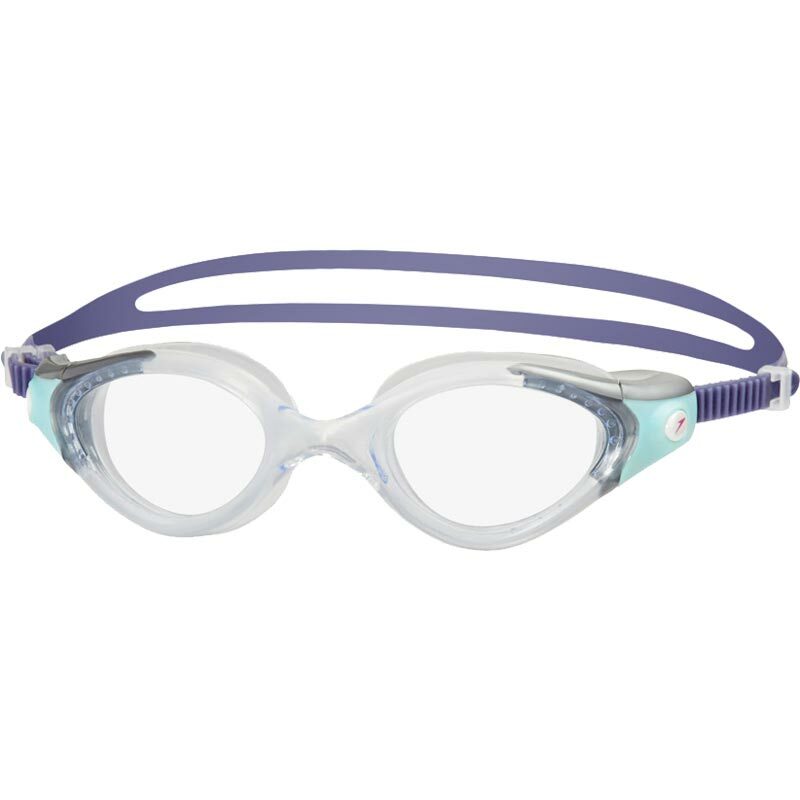 Designed to mimic the female face curves, the Speedo ® Futura Biofuse 2 Female Goggle uses super soft, gel-like materials for ultimate comfort. Featuring a new, easy to use push adjustment for a secure fit every time you swim. Experience goggles so comfortable you could easily almost forget you're wearing them. Size, shape and style designed specifically for women. 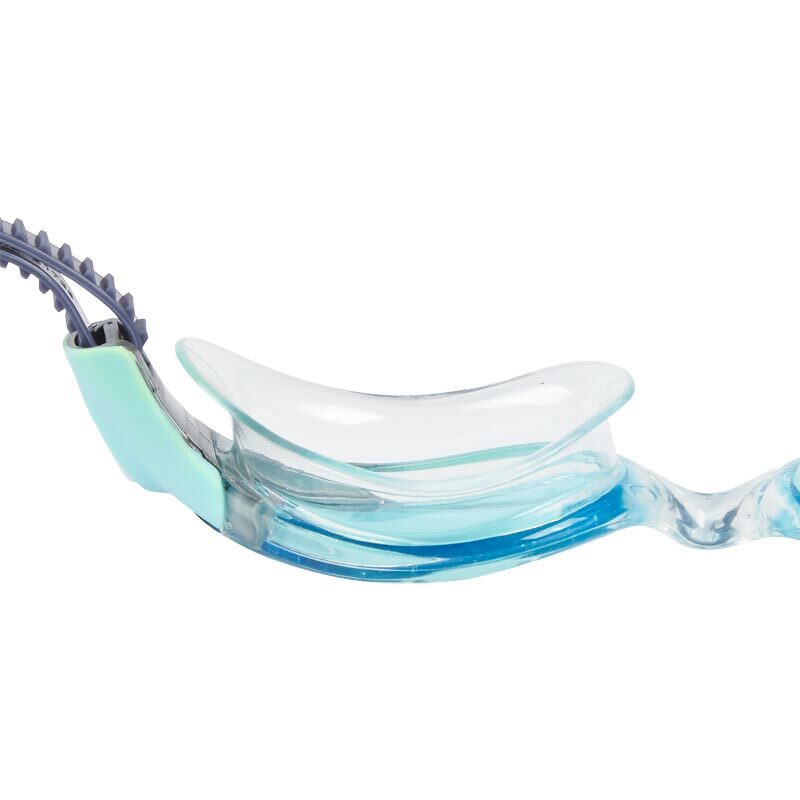 Super soft seals - for a leak free comfortable fit and reduced marks around the eyes. Flexible frame - adapts to the contours of your face for an individual fit. 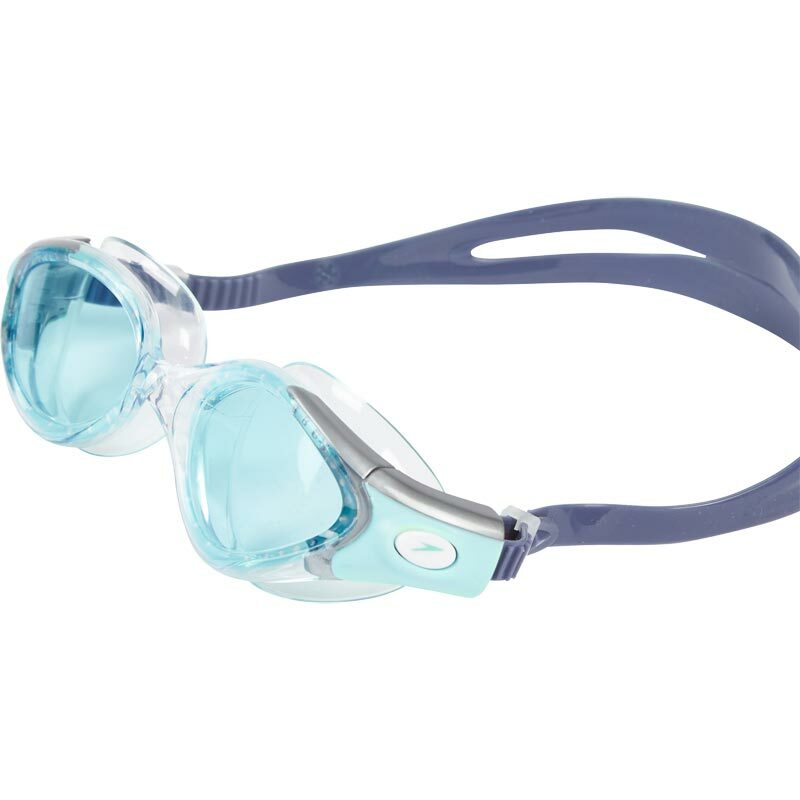 Wide vision lens - maximise your vision in the water. 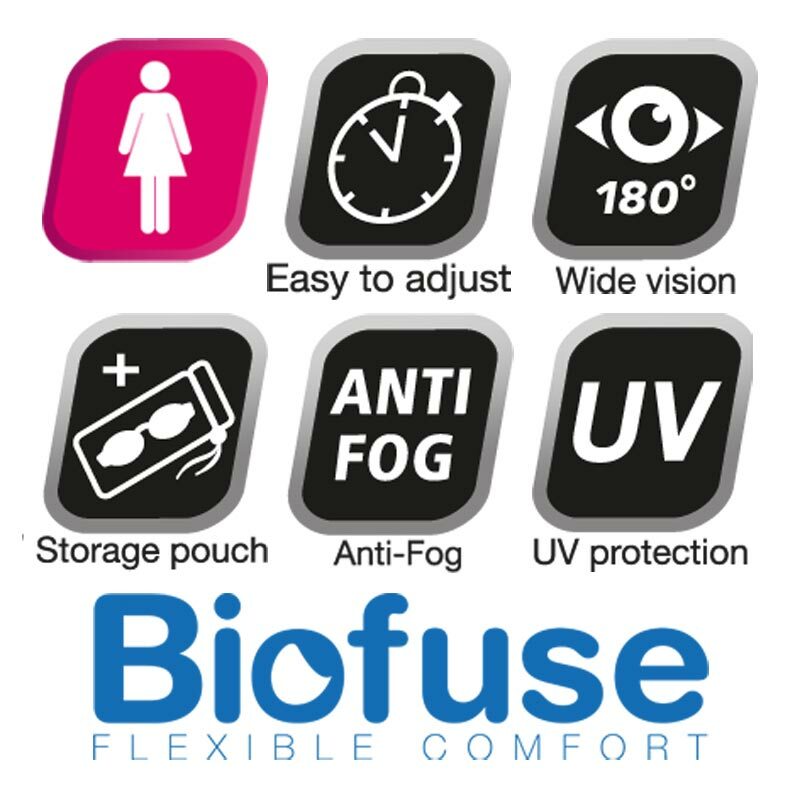 Anti fog coated lens with UV protection.